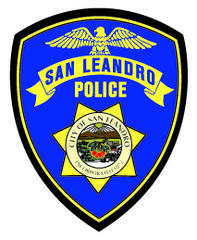 On Thursday, March 14th, 2019, San Leandro Police officers were dispatched to the Taco Bell located at 15501 Hesperian Blvd regarding an unresponsive female outside the restaurant. When officers arrived on the scene, they located a 28 yr old white female who was suffering from an apparent drug overdose. The female was having difficulty breathing and displayed other signs being under the influence of a controlled substance. Officers immediately recognized the female's symptoms and determined she had ingested a dangerous amount of opioids. Officers, who now carry Narcan, an antidote that counteracts the effects of the drug, administered the medication to the female in an effort to revive her. The drug had an immediate effect as the female regained consciousness and began breathing normally. Paramedics arrived on scene and resumed care for the female who was transported to a local hospital for further treatment. "Our officers are trained to deploy this drug, which very well may have saved her life," said San Leandro Police Lieutenant Isaac Benabou. "This is a nationwide epidemic." According to the Center for Disease Control (CDC), 47,600 people died of an opioid-related overdose in 2017, which accounts for 67.8% of all drug-related overdose deaths. Between June of 2017 and June of 2018, 5,011 people in California overdosed on opioid-based drugs. Often times law enforcement is first to arrive on-scene to drug-related overdoses and service calls which expose officers to the hidden dangers of opioids. Due to the lack of training and medical knowledge, officers have historically been unable to provide any effective medical assistance to those suffering from an opioid overdose, to include accidental exposure to police officers. Late last year, the San Leandro Police Department responded to this epidemic by working alongside the Alameda County Medical Director and the San Leandro City Attorney’s Office to develop an Opioid Overdose Response Program that authorizes police officers to carry and administer Narcan. Narcan is recognized as an antidote to these opioid overdoses as it counteracts the effects of the drug and allows officers to take an immediate life-saving measure, which increases the chance of survival. The San Leandro Police Department developed a policy that includes training to assist our staff in recognizing symptoms of an opioid overdose and the proper way to administer the Narcan. Officers will continue to carry Narcan daily which can be deployed immediately in order to save lives.